I'm beat, so here's the video. I'll put up a critique by Sunday. Critique your own performance until the :-) Bravo tonight, FMB! 2. Set 8 to 9: Sarah S. MUST back march. Everyone else around her is as well. after the 2nd drum solo? It seems to ruin the energy. 2. When the set stops at m. 7, everyone MUST be set. 3. Lost the alto part w/ maxophones have melody. Here's directions to Southeastern High School in Jamestown, OH. 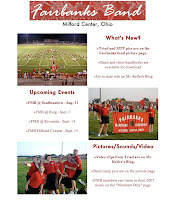 Parents, family, and friends are welcome and invited to come cheer on the FMB at tonight's game! Details on our itinerary are HERE. Click on the starting point (FHS) for detailed directions, etc. If the interactive map doesn't work for you simply follow this link for direct access to Google maps. Weather looks mostly nice for tomorrow night, but it might be a little cool in our Summer uniforms by the end of the evening. You might want to bring a jacket or blanket to keep the legs warm while we are in the stands. How Does Band Stack Up? 1. Build strong relationships - "Let kids know you genuinely care about them , that it's not just a job that finishes at 3PM"
2. Tell them why it matters - "Tell your kids why you're doing what you're doing, especially if it something repetitious and tedious"
3. Give them a voice and a choice - "They will work harder if they have a say." 4. Make it fun - "It's not just for elementary school." 6. 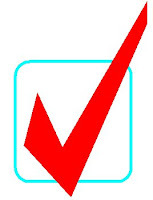 Make it real - "Plan lessons so that students accomplish something that matters to them." 7. Use technology - "These days, it's easier to use the Internet to get your students' creative juices flowing." So, how does the Fairbanks Band program stack up? Are you learning something...about music, about life, about yourself? Just a reminder that due to Labor Day holiday, the FMB rehearses TUESDAY and WEDNESDAY next week. This has been on the calendar since the beginning of time, so it should not be a surprise to you. It will be a great week of work, with cooler temperatures and our entire show on the field! 1. EVERYONE rides to bus TO every event. 2. Members are to ride only their assigned bus. 3. What chaperones and bus drivers say, goes. 4. If you choose to not ride the bus home from an event, you must get a note from a parent to Christina BEFORE WE LEAVE FHS. If you don't turn in a note before we leave, then you are riding the bus home. No exceptions. Please don't put Christina or I in an awkward position by asking us to make exceptions to this rule. Like...Pay For Your Tshirt, Man. Just FYI...Over half of you need to pay for your tshirt. Please get your check or money order for $10 in the booster mailbox ASAP. Tshirts will be in next week, and you can't get yours until you've paid the boosters. For those who have paid in advance, thanks a bunch! *Rookies will be fit for uniforms during after-school rehearsal today. *Please put your T-shirt size on the sheet on Mr. Keller's office window today. If you don't, I get to guess your size, then you're stuck with what I guess. Even if you put your size on your order form, I still don't know what size to order for you, so please mark it on the sheet regardless. Tshirts will be in by Sept. 7. You can see the design here. *Bus lists will be posted by the end of the day today. You can jockey around all week, but once Friday gets here, you're on the bus you signed up for until the end of the year. The following members must try on their old uniforms TODAY (Monday) or risk releasing them to rookies. : Samantha M., Jennifer, Emma, Tia, Oliver, Sara, Allison, Angelica, Kate, Synthia, Leanna, Aaron, Luke, Drew. Please do it today! I will send in the tshirt design tomorrow (Monday 8/27). Please check to see if your name is on the shirt and spelled correctly. It will be white printing on a red shirt. Order your size on Monday on Mr. Keller's door. Shirts will be in the week of Sept. 4. Click on the images to enlarge. 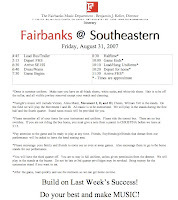 I have updated Fairbanksband.org with new pictures, links to video from Friday night's game, info on our first road trip, and our first contest. Please check out all that's new at Fairbanksband.org. The weather for Monday is mostly sunny and high of 81 degrees. Finally! We will get some good quality work done on Monday. Funny will be the detail police, so you better be at your best! Please come prepared with clipboards and proper footwear. Here's the videos I took from Friday night's game. I have posted some key sequences in our drill design. Please post comments with constructive criticism. There are also pictures posted on the flickr page. By Monday, veteran FMB members should have tried their old winter uniform on and given the numbers to me or Mrs. Schrader. Rookies will be fit on Monday after rehearsal. Please plan on staying after a few minutes to make sure we have one that fits you. The uniforms go to the cleaners on Tuesday, so if you are not fit by Monday, you'll have to wait until after they come back on Friday. Also a reminder that you need to order shoes ASAP if you need them. A list of where to order is here in .pdf format. I need a parent to serve as our announcer tonight and/or every Friday night. If you are interested in tonight's gig, please call me asap at my cell, or email me at fhsbando@columbus.rr.com. 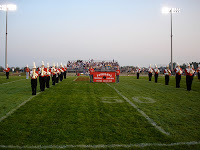 Just a reminder that the FMB's first game is tonight vs. Triad. They have a good band, so we'll need to put on our game face and work past the heat and the humidity to come out on top. Please hydrate well before the game...plenty of water will be supplied for you tonight. Dress is Summer uniform. Rehearsal begins at 5:45 sharp at Harmony field. This is also your last chance to memorize your pregame music. Stand tunes will be available tonight...no need to memorize them. Come tonight mentally and physically ready to announce our presence with an outstanding pregame and halftime show! Originally uploaded by fhsbando. Pictures are up for meet the teams. You did a great job tonight, especially considering the heat. Pregame music was acceptable, but not polished. Please make sure it's down pat by tomorrow night. Opener was very good for our first time with dots. Funny was very concerned about posture, as was I, and we agreed that this was because many of you were looking for dots...that don't exist on the "real" field *lol* We'll work on that Friday at our 5:45 rehearsal. We need to work pre-game drill with music as well. I'm not nearly as concerned as I was after knowing your know your pregame music pretty well. Just a reminder that dress is Summer uniform again Friday. 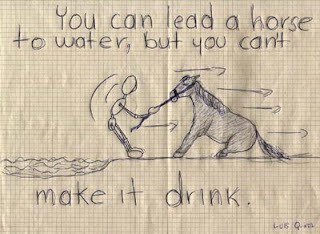 Please hydrate! Let's have a great show tomorrow night! Band and choir members received their handbooks this week and need to return the back page signed by themselves and a parent no later than Friday, August 31. If you lost yours or need another copy, you can download one from the announcements page. 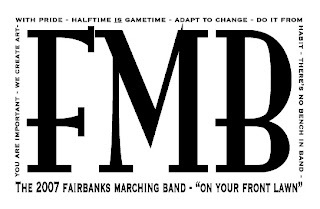 FMB will perform at meet the teams tonight. We will rehearse at 6:30 at Kyre Field. We perform at 7:00 and will be done at 7:30. Dress is Summer uniform. Attendance is required. See you there! First day of classes Wednesday. Marching band needs music, instruments, and rehearsal shoes/clothes. Everyone else only needs a pencil. Welcome back!!! Mrs. Taylor has a clarinet for sale. It was used for one year and cost $729 new, and she is selling for $500. If you are interested buying or need more details, email her at ltaylor@fairbanks.k12.oh.us. 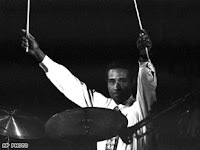 Influential Bebop drummer Max Roach has passed away at the age of 83. He raised the bar on drumset performance and put the role of the jazz percussionist on the level with other prominent soloists like Charles Mingus, Charile Parker, and Dizzy Gillespie. Read the entire article here at CNN.com. There's an even more comprehensive article in the New York Times. Pics of Nikki and Stauffer at MUMB Camp. Apparently someone let Stauffer be in charge at Miami band camp for awhile! There's also a pic of Nikki who's a band manager this year. 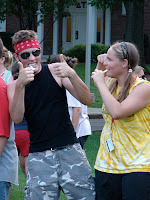 You can see all the daily band camp pics updated at the Miami University Marching Band site. We did not learn pregame this morning due to all of the absences. It would have been a moot point to teach it this morning then have to re-teach it next week. We will learn the entire pregame on Wednesday after school. Please be sure to be prepared for the first day of class. You should have your instrument, clipboard, and athletic shoes and socks for this VERY important practice. 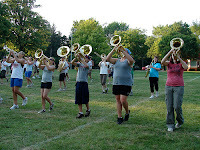 We rehearse 3:15 to 5:15 on Mondays and Wednesdays throughout the season. Please do your best to schedule Dr./Dentist appointments on Tuesdays and Thursdays. Just a reminder that I am strongly enforcing the attendance policy this year due to the many liberties that some band families are taking with rehearsals and performances. Need a reminder what the policy is? Click here for the policy. 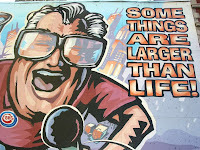 It hasn't changed in the 15 years I've been here, so it should be no surprise. 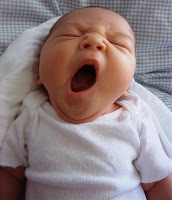 BTW, did you yawn when you saw this picture? I did. Inside the layers of muscle memory, honed by a lifetime of practice, there is an intuitive power that enables White to fly in harmony with all variables, rather than battle against them. There are moments at the apex of a trick when he appears so placid that one wonders if he's trying. White's explanation of this exalted state is direct:"You know from the takeoff whether you're going to land or not. So during those moments when you're already up there, it's complete freedom." _____ Practicing your music/routine daily? _____ Reviewing your drill charts? All of these are essential for staying on schedule for our debut on Aug. 23. 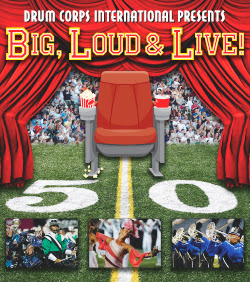 DCI will be simulcasting the quarterfinal performances at digital cinemas across the country, including one in Columbus. Click here to find out more. You won't be disappointed. fhsbando@columbus.rr.com is dead. It was just a standby address in case the school email went down. Don't use it anymore. bkeller@fairbanks.k12.oh.us is great for getting me during the school day, but it is difficult to stay logged into this First Class account at home or on the road. It logs me out every time I close my laptop lid, or every 30 mintues, whichever comes first. It also has a hefty spam filter, and sometimes important emails don't get to me right away. Attachments are also hit-and-miss. fhsbando@gmail.com is really the best way to get to me quickly. I'm always logged in no matter where I am, and can access this account via my phone as well. You can attach photos up to 10mb too. It's really the way to go. Kroger Cards - Easy Money for the Music Boosters! Kroger gift cards are an easy way for you to help fund our music program. You fill the card at the customer service desk before you shop, then spend it like a gift card, then the boosters get 5% of what you spend. It doesn't cost you a thing! If you don't have one yet, contact Karla Long to get yours! Next Year's Booster Golf Outing...Plan Ahead! The 2008 Fairbanks Music Booster golf outing is on Sunday, June 8 at 2 P.M. All proceeds benefit our fine Fairbanks musicians. Please contact Karla Long for information on sponsoring a hole. I forgot all about the donuts this A.M. 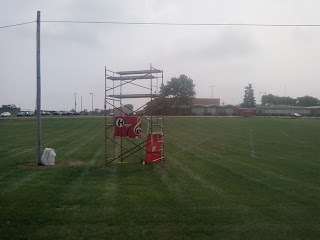 I'll double up for Monday for those who helped with the scaffolding on Monday. I appreciate you...I'm just forgetful. I've put up a few pics that I took today at rehearsal. I think they capture the mood of the day...HOT! I also put up two videos on the Members Only page. One is the introduction to the opener, the other is the first few moves of the closer. Check them out and you'll see and hear things how I hear them. Learn from your mistakes and make it a productive lesson. Again, if you forgot or don't know the username/password for the member page, please email me and I'll get right back to you. Thanks for working so hard in the adverse conditions. We made progress today despite the 105-degree heat index. Please practice your music/routine at least 30 mintues a day until our next rehearsal on Monday. Thanks, band members, for breaking in the new Harmony Field today. I know it was hot and focus was at a premium, but I think we made good progress on what we cleaned. The rehearsal after camp is always the hardest to motivate ourselves for. Back to work on Wednesday on the end of the opener and on the closer. Thanks to all the band members who stuck around and helped put up Ft. Keller! Now, please don't' think I'm being sacrilegious. 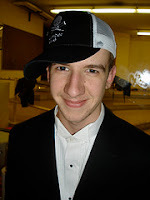 Darin is not THE God, just A god...kinda like Bill Murray in Groundhog Day *lol*. He helped me line the field today after the rains passed and I am eternally grateful. I think you'll all agree with me that he's a man above men. Thanks, Darin! Thanks also to my wife, Lisa, and my daughter, Maria, who also helped put down a good number of dots today. The field is ready to go for tomorrow morning, which is good since we probably won't be able to set foot in the building. See you at 8 AM. It's 3:15 and I'm getting started in 15 minutes. Any/all band members or staff members are welcome to help. Okay...I tried to unload some stuff out of the trailer today, and found the band room in shambles. There are holes in the ceiling, dust everywhere, and all the stuff from my office, the practice rooms, and the storage closets are in the center of the band room and crammed into the instrument room. There is no way we can use it for rehearsal tomorrow, or probably for the next two weeks either. We're going to be working outside and living out of the trailer for awhile, so please plan on bringing your instrument to and from home to each of the next four rehearsals. Percussion and sousaphones will load and reload the trailer after each session. In addition, electricity will be unpredictable over the next few weeks, so vending machines and water fountains are not guaranteed to be operating. It would be in your best interest to bring a water bottle to each of the August rehearsals as well. Due to the rain, we will not be able to line the field today. Please spread the word. Rehearsal is still on for Monday at 8AM. Please be flexible, as I 'm not sure where we are going to rehearse. If you were planning on helping line the field today, be sure to check here before you take off. If it's raining, we can't paint lines. I'll keep you posted. The US Army requests you send no candy, soda, newspapers, or magazines. Apparently they don't want their high quality soldiers either obese or well-read/well-informed. Originally uploaded by fhsbando. I have posted pics from Thursday night thru Friday show. 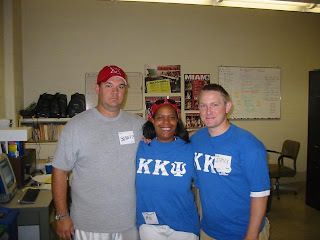 Between staff and students, over 800 pictures from camp were uploaded to the flickr page. If you have pictures of camp that you would like to share to everyone, just email them to me at fhsbando@gmail.com and I will be happy to upload them for everyone to enjoy! Thursday Update from FMB Camp! 1. Pictures are again being uploaded as I type this. We get a little more creative as the week goes on, and some students have been kind enough to plug into my laptop and give me some pics from their perspective. 3. 15th Annual BAND OLYMPICS!!! Team three took an early lead and never looked back after finishing first in two events, including the double-score frisbee toss. They got to eat breakfast first this morning. Band Camp Update - Wed.
2. Tonight is the Band Olympics! It will be held at the field immediately after rehearsal tonight. Family members are welcome to come watch the festivities if you so desire. 3. New pictures are being uploaded while I type. 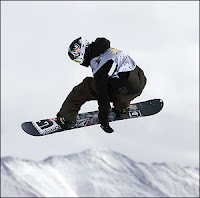 Check them out on the official picture page. 5. 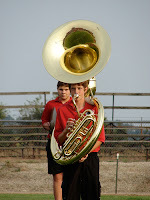 End-of-camp show is Friday at 5PM at the practice field. Be sure to invite family, friends, neighbors, and any band alumni you may know.